Hobbs Observatory, with its twin domes, is located in the Beaver Creek Reserve near Fall Creek Wisconsin. 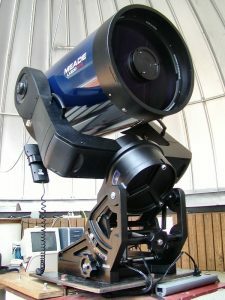 The west dome features a computer controlled 24 inch Newtonian reflector telescope, the east dome houses a Meade LX200 14 inch Schmidt Cassegrain telescope. The building also houses the Robert Elliott Classroom, an office, and a small library. 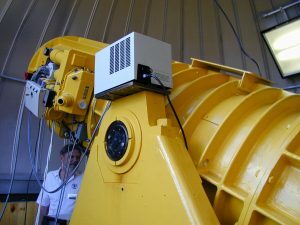 The observatory is used by CVAS members, Beaver Creek Reserve, and the Physics and Astronomy Department of the University of Wisconsin – Eau Claire. Google Maps link to to the observatory is available HERE. Historical images of the construction of the observatory are available HERE.